It’s about that time of year when forward-fashion-thinkers start creating their winter wardrobe wish-lists. 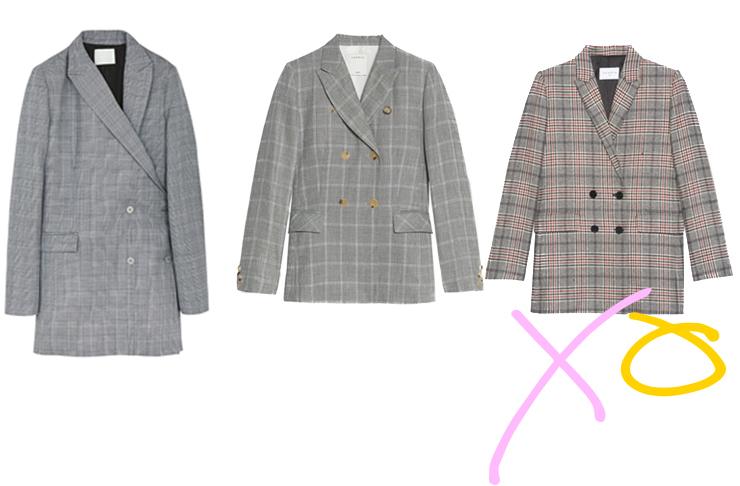 It may seem like wishful thinking as generally our weather doesn’t cool down in time to match with the release of new season collections, but it makes for the perfect time to put the down payment on any investment pieces you had in mind (fashion is a totes legit investment you guys). 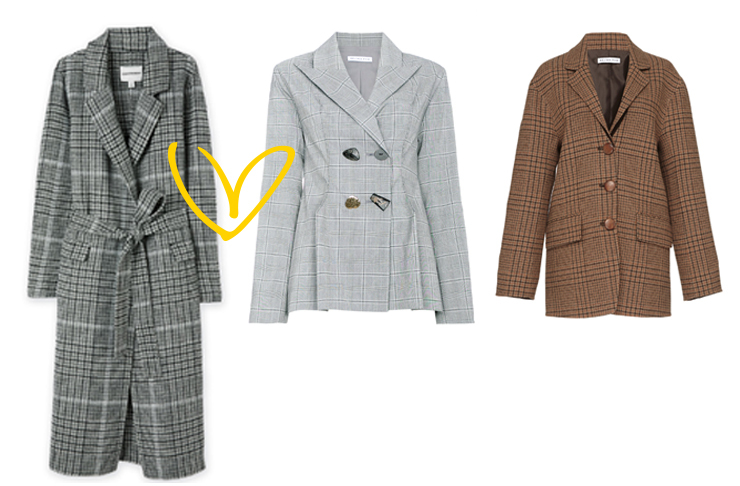 Being winter, an amazing coat or blazer is always high on the list and this year, the check blazer is the one to watch. 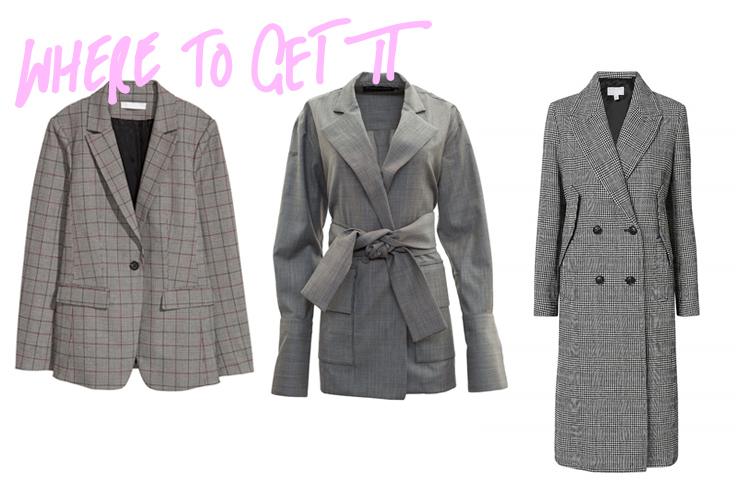 Whether it’s tweed, plaid, hounds tooth; in the classic muted greys or incorporating colour into the mix; short or long—just go get yourself into one of these coats this winter. Why? 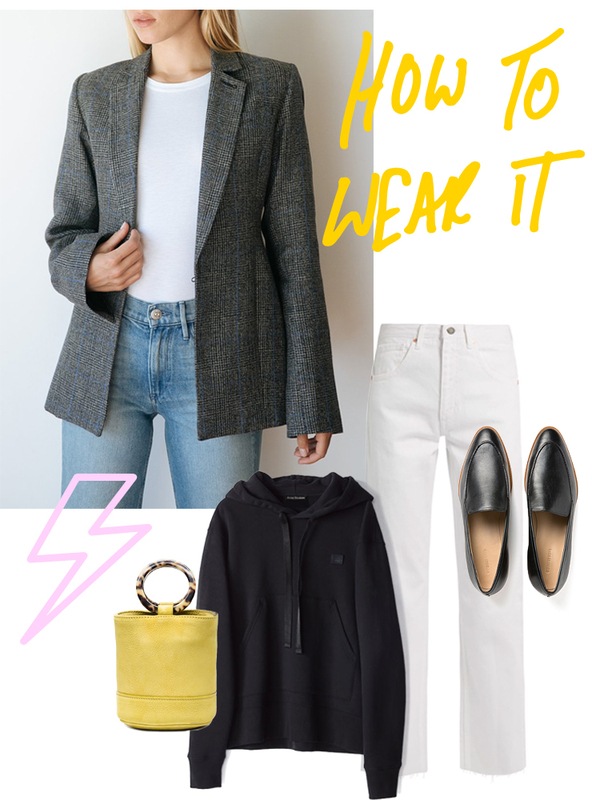 It’s the perfect combo of practicality and statement (a real holy grail in terms of fashion items) which means the rest of the outfit your pair with it can be super plain, just let your new jacket do most of the talking. Keen? Check! This piece has the tendency to throw equestrian and corporate suiting notes so you kind of need to rough-it-up a little. Adding in a hoodie layer can do just the trick, and keep you nice and toasty too. Add in block coloured accessories to bring just the right balance between fun, pop of colour and classic styling.